I am so excited! I think I have finally found the perfect solution for how to display the many wonderful Christmas cards we receive each year. The refrigerator! 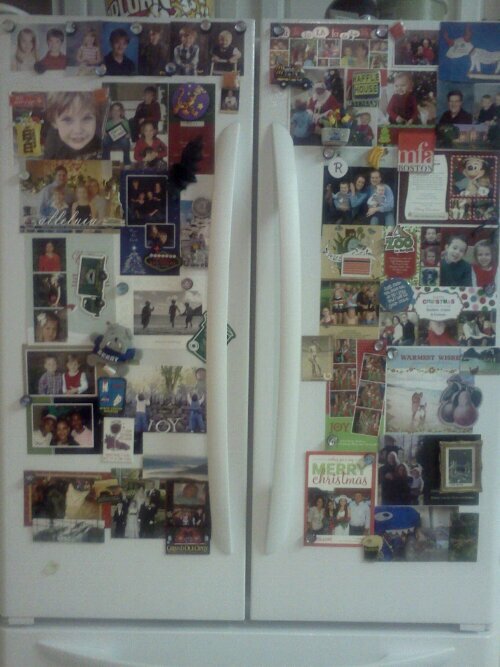 It is a great way to enjoy them for a while and it means we’ll revamp our fridge pictures at least once a year. I am excited about having a new tradition in our house. What do you do with the cards you receive?